Shannon joined APC by Schneider Electric in 2007, initially as the Director of Distribution. 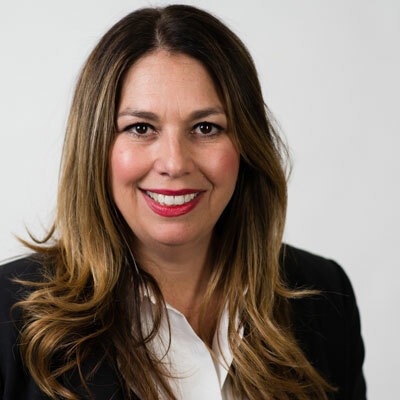 Today, as Vice President of Channels, she is responsible for driving revenue, strategy and profitability within the North American Channels organization. Under Shannon's vision, the Channel team, which consists of Channel Inside & Field Sales, IT Distribution, Direct Market Reseller, Electrical Distribution, Dell and Retail, is focused on increasing business effectiveness, creating strategic relationships, driving growth and improving customer satisfaction. With more than 20 years of channel experience, Shannon has been recognized for her high performance and leadership. Her awards include CRN's Channel Chiefs for 2015, 2016, 2017 and 2018, CRN Magazine's Top Women of the Year and CRN's prestigious 100 Most Powerful Women in the Channel. Prior to joining APC by Schneider Electric, Shannon served as the Director of Distribution and DMR for Philips Consumer Electronics. In that role, she focused on developing sales and marketing strategies for both channels. While at Philips, Shannon was recognized by Philip's executive team with the 2005 Channel Excellence Award for her dedication and commitment to the channel. She also worked for Vivendi Universal for five years gaining strong retail experience as a National Account Director. Throughout 2017, our company focused on developing and launching innovative offers, programs, and tools designed to enable our partners' growth - such as our Connected Smart-UPS™ with APC SmartConnect, our Local Edge Configurator, and the announcement of our evolving SaaS offer, EcoStruxure IT. To help deliver those offers to market, towards the latter part of 2017, together with my leadership counterparts, we restructured our field sales coverage model, so that our partners will experience double the support, enabling them to focus on business growth. Growth! Edge computing has had a huge impact on our channel strategy. This year, we will continue our efforts around helping partners provide data center-like resiliency outside the data center, and we'll continue to evolve our software offers - catering them to a channel-friendly business model that enables partners to provide a "lights out" edge solution for their customers. This allows them to increase loyalty and promote growth among their existing partners, but we're also enabling them with the capabilities to expand their reach into new markets as the worlds of IT and OT continue to converge. Cleopatra. She ruled ancient Egypt for almost three decades, lost her kingdom and then regained it and amassed an empire. She influenced Roman politics and mainly was her own woman! "Be where you're supposed to be." Meaning, don't worry so much about the future and enjoy the here and now, as you can't get it back! I haven't gotten around to reading too many this year, but my favorite way to continually educate myself is by reading the Wall Street Journal and other news sources.